Dr. Anthony El-Khoueiry is a medical oncology specialist in Los Angeles, California and he works at several hospitals in the area, such as Keck Medical Center of USC and USC Norris Cancer Hospital. 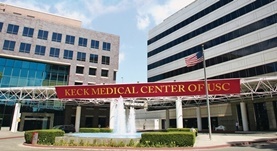 He got his diploma from Keck School of Medicine of USC and did his residency in Internal Medicine at the University of Southern California - LAC+USC Medical Center. 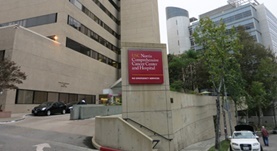 Dr. Anthony El-Khoueiry also completed three fellowships in Hematology and Medical Oncology at the University of Southern California - LAC+USC Medical Center. The doctor has an experience of more than 20 years. Dr. Anthony El-Khoueiry has contributed to 3 publications. Clinical relevance of EMT and stem-like gene expression in circulating tumor cells of metastatic colorectal cancer patients. Ning Y, Zhang W, Hanna DL, Yang D, Okazaki S, Berger MD, Miyamoto Y, Suenaga M, Schirripa M, El-Khoueiry A, Lenz H; Pharmacogenomics J.. 2016-08-09. A Phase I Study of the Safety, Pharmacokinetics, and Pharmacodynamics of Combination Therapy with Refametinib plus Sorafenib in Patients with Advanced Cancer. Adjei AA, Richards DA, El-Khoueiry A, Braiteh F, Becerra CHR, Stephenson JJ, Hezel AF, Sherman M, Garbo L, Leffingwell DP, Iverson C, Miner JN, Shen Z, Yeh L, Gunawan ...; Clin. Cancer Res.. 2016-05-15. Guadecitabine (SGI-110) priming sensitizes hepatocellular carcinoma cells to oxaliplatin. Kuang, Y.,El-Khoueiry, A.,Taverna, P.,Ljungman, M.,Neamati, N.; Mol Oncol. 2015 Jul 15.